Recently, I was researching Latin courses to decide what would meet our needs and our financial limits. 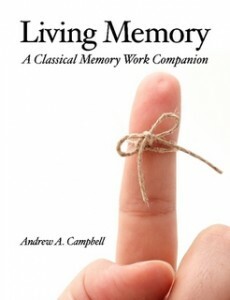 What an amazing blessing when I had the opportunity to review a product from Classical Academic Press! After looking over their resources and the exposure my children had to Latin and other languages, I decided the Latin for Children would be the best choice. When possible, I believe that starting at the beginning is the best option so we chose Latin for Children, Primer A Mastery Bundle. LFC (Latin for Children) Primer A is an incremental curriculum that can be begun as early as 3rd grade. In the first book of a three year series, your child will be introduced to basic Latin vocabulary, grammar and English derivatives. LFC is designed in such a way that parents new to Latin can learn and engage in this program with their child. The presentation is simple yet engaging. Thankfully, for parents like me, a LFC, Primer A Answer Key is provided as well. Another great aspect of this program is the DVD and CD . The DVD gives lesson by lesson training from the author and 2 students. The Chant CD is very helpful to retention of vocabulary words; both pronunciations are provided. A couple more items in LFC, Primer A Mastery Bundle are the History Reader and Student Activity Book. The History Reader allows the student to read actual text using the vocabulary they have learned. The Student Activity Book contains mazes, crosswords puzzles and more to give even greater exposure to Latin. Latin for Children, Primer A Mastery Bundle is $99.95 which includes the student text, answer key, history reader, DVD , Chant CD and student activity book. What a great price! You can also choose the Basic Bundle for $76.95 or the items individually. You can make this work for any budget especially considering the free resources LFC provides. Classical Academic Press provides you with an opportunity to take a peek inside the curriculum. As you read more about each product, you can view a sample of each product to get a feel for the program. There are also more videos available on other resources from Classical Academic Press. I had two of my children use LFC, Primer A Mastery Bundle. 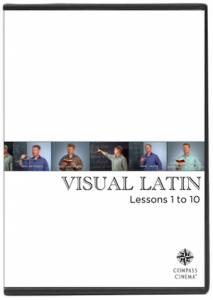 Latin has become one of their favorite subjects to study! I have a 5th grader and 6th grader using this program. I almost regretted not going with a higher level of Latin. However, they have done really well with Primer A and are learning so much Latin! It is a very independent program and they have not needed my help at all. With a younger student, he may need a bit of guidance. My girls enjoy the variety of activities offered in the student text and activity book. They find the DVD instruction easy to understand and helpful. They look forward to episodes of “How the West was Unus”; an entertaining show that we can see snippets of as the lessons progress. It is possible that we will need to purchase another Chant CD. At various times throughout the day, I will hear chanting going on. They happily let it play and repeat as they go about their work. After just a week of having the program, my 3 year old was chanting the conjugation of amo. I must admit, I find myself chanting along as well. This review has been a difficult one because I worry that I won’t convey how pleased we are with the program. As finances allow, we will continue to use Latin for Children series and higher levels of Latin from Classical Academic Press. Still have questions? Head on over to the Crew! See what others are saying about Latin for Children, Song School, and Latin Alive! **Disclaimer: As a member of TOS Crew, I received a complimentary copy of this product. No compensation was made. The thoughts/opinions/experiences expressed in this post are my own.